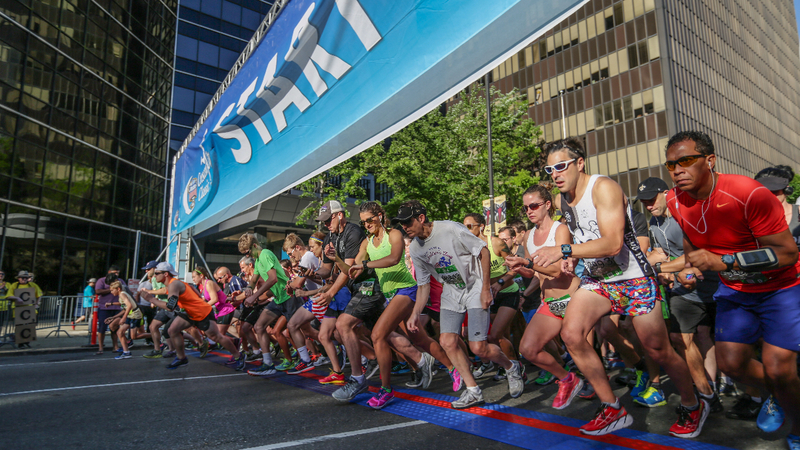 The Allstate Sugar Bowl Crescent City Classic kicks off the race with the Health & Fitness Expo! 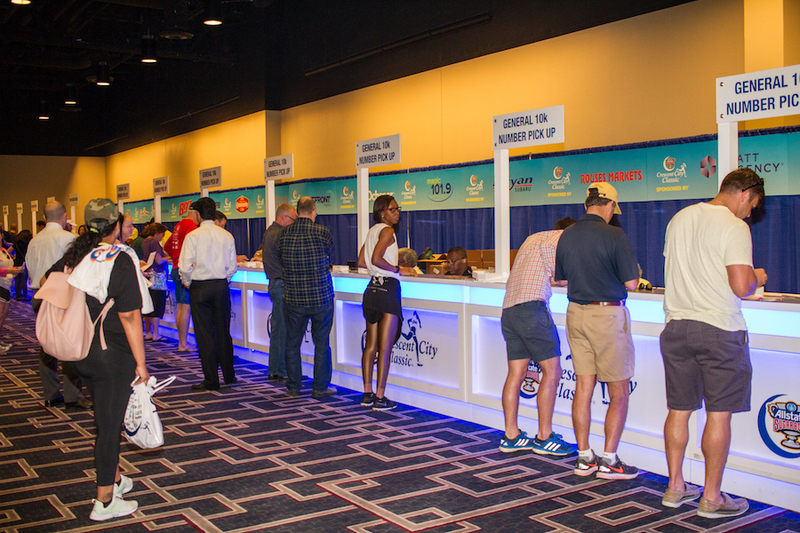 Free to the public and located in the Hyatt Regency New Orleans Hotel in Downtown New Orleans, the Health & Fitness Expo features exhibitors showcasing the latest in running apparel, shoes, exercise equipment, nutritional and wellness products, fitness services, and much more. Discounts are available for vendors who purchase 2+ booths at 20% off. Use code MULTI. For Non-profit booth purchases use code "NOSALE"
Electricity and WiFi available for purchase at Step 1 of the checkout process. Please make sure to look at the Vendor Document Manager (blue folder icon in your Order Summary box)section to review all necessary paperwork. No refunds will be made to any exhibitor who fails to occupy their reserved space. Cancellations must be made at least 30 days prior to the Expo in order to obtain refund of fees. The Exhibitor agrees to obey all laws, by-laws, ordinances, and regulations governing use of the facility and operation of the Expo, abide by the rules and regulations of the city, fire and police departments, and any other government or regulatory body having authority to regulate the facility and the Expo, and obey all laws, including those pertaining to health and safety, consumer protection, and protection of the visitors to the Expo. 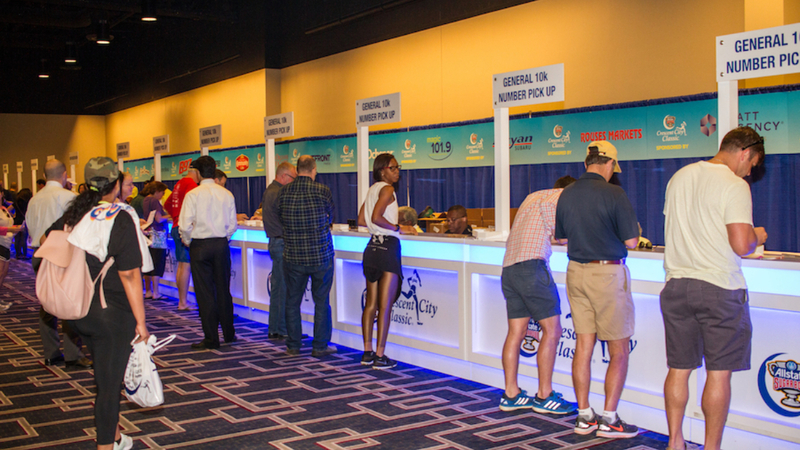 The Exhibitor agrees to abide by all rules and regulations governing the Expo established by Crescent City Classic, including rules and regulations set forth in the Exhibitor Manual. The Exhibitor agrees to obtain, at its own expense, any licenses or permits which are required for the operation of its trade or business during the term of the Expo and to pay all taxes, including all applicable sales taxes of any nature or kind that may be levied against it as a result of the operation of its trade or business in it’s contracted space. Crescent City Classic reserves the right to reject or prohibit exhibits or Exhibitors which Crescent City Classic considers objectionable, inappropriate, disruptive or offensive to Crescent City Classic, other Exhibitors or Show attendees; change or modify the layout of the Expo and/or relocate exhibits or Exhibitors; cancel, in whole or in part, the Expo due to an event of force majeure or change the date, location and duration of the Expo, without any liability to Crescent City Classic. Crescent City Classic shall have the right to establish and amend or modify any regulations governing use of the facility and the Expo. The Exhibitor agrees not to sublet space or exhibit props or merchandise other than specified without permission from Crescent City Classic. Exhibitor understands that exclusivity of exhibitors is not offered. Exhibitor understands that this agreement does not authorize the Crescent City Classic to obligate or award future business. Future participation, if any, will be governed under separate agreements. Exhibitor agrees that all products and signage must fit within booth space. Nothing may obstruct the free flow of pedestrian traffic. Exhibitor agrees that no out of booth solicitation is permitted. Exhibitor understands that the playing of loud music or other loud noise is not permitted without advance permission of the Organizer. 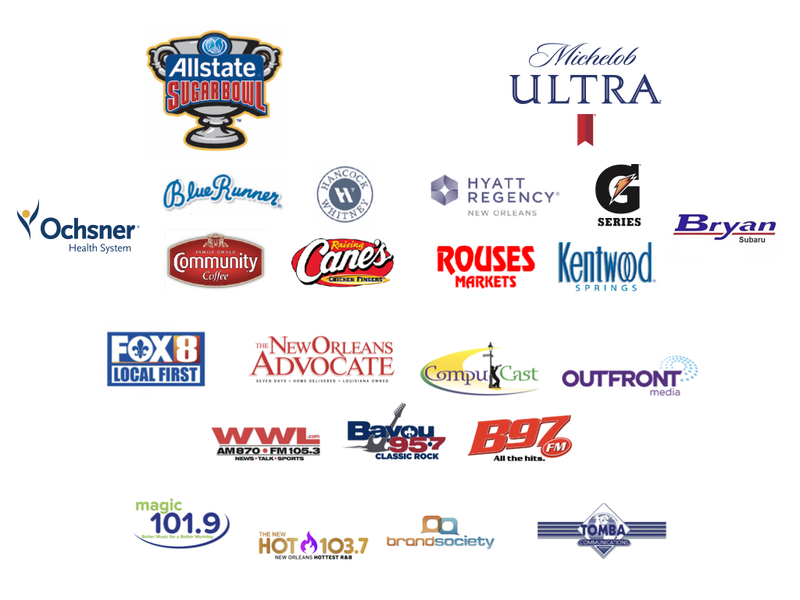 Exhibitor understands that absolutely no food or drink may be sold from booth space without advance permission of the Crescent City Classic. comprehensive general liability and all risk property insurance policy. At the request of Crescent City Classic, the Exhibitor shall provide Crescent City Classic with a copy of such policy. 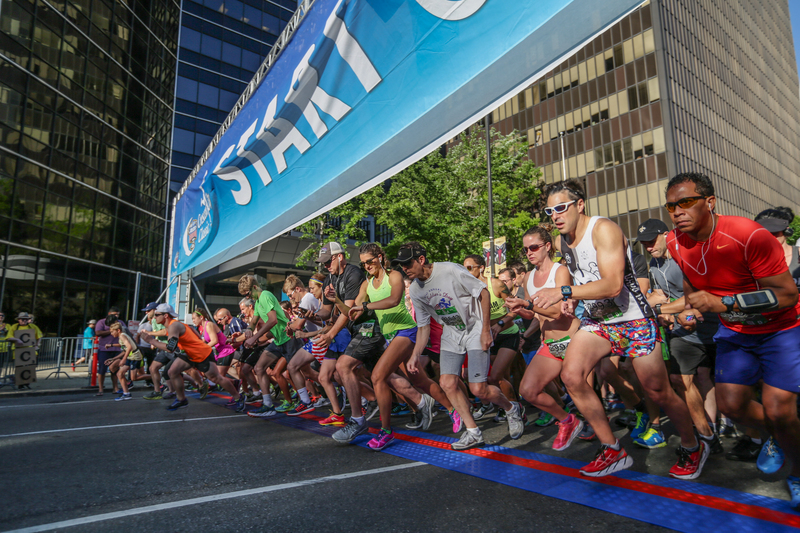 Neither the Crescent City Classic, nor the facility will assume liability for loss or damage, through any cause, of equipment, products, goods, exhibits, or other materials owned, rented, or leased by the Exhibitor. Exhibitor agrees that all displays will be fully set up by 11:00 am on Thursday, March 29th, 2018. Exhibitor agrees that storage space is confined to assigned table/booth area. No display may be dismantled before 8:00 pm on Friday, March 30th, 2018. Exhibitor agrees to complete booth breakdown by 10:00 pm on Friday, March 30th. Exhibitor agrees to have his/her booth staffed during the entire event. Booth space must be maintained in a clean and orderly manner at all times and be clean and orderly upon departing the Expo. In the event that the facility in which the Expo is to be held or is held is destroyed or becomes unavailable for occupancy or Crescent City Classic is unable to permit the Exhibitor to occupy the facility or the space, or the Expo is cancelled or curtailed for any reasons beyond the control of Crescent City Classic, including but not limited to, casualty, explosion, fire, lightening, flood, weather, epidemic, earthquake, or other acts of public enemies, riots or civil disturbances, strike, lockout or boycott, Crescent City Classic will not be responsible for any loss of business, loss of profits, consequential or special damages or expenses of whatever nature that the Exhibitor may suffer.